Her image is the butterfly in upper left corner. 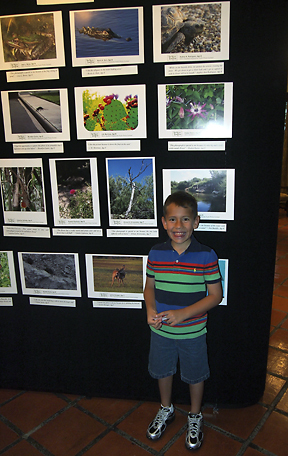 Well, the 2011 youth nature photo contest is in the books and the one hundred thirty three contestants that participated had a great awards ceremony last night (Aug 18). The 2011 contest was a different format and unlike last year, there were no placings per category, which still leaves me wondering what the categories were for to begin with. 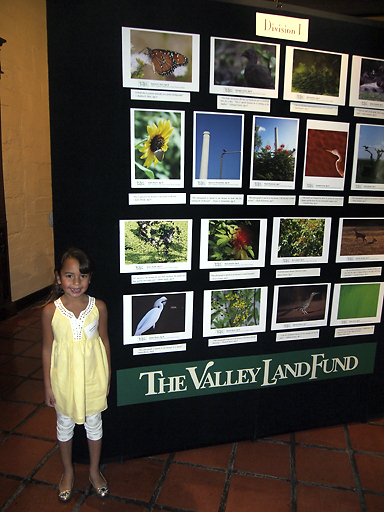 As it turns out, there was one portfolio winner per division (congratulations to my friend Hector Astorga whose daughter took that prize in Division I) and then a total of twelve winning images (four per division) were selected for inclusion in the VLF Contest Calendar. His image is the alligator in the top row. I’m proud to announce that both of my kids had a winning image selected for inclusion in the calendar. Of my two children, my son was the first announced and I was happy but praying the next one called would be my daughter. I think it was more relief than happiness when I heard my daughter’s name and saw her image on the screen. My sisters and nieces claimed to have been screaming with joy but honestly, I was so nervous and relieved that I never heard a thing. The kids were excited and made a fast dash to the podium to pick up their prize winnings. 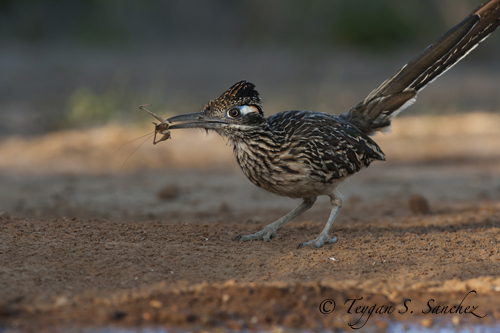 Tey's image is the roadrunner above her. My niece, Teygan, who was competing in the oldest division (Div III) unfortunately did not have an image selected for the calendar but she did extremely well, especially with only three afternoon photo opportunities. 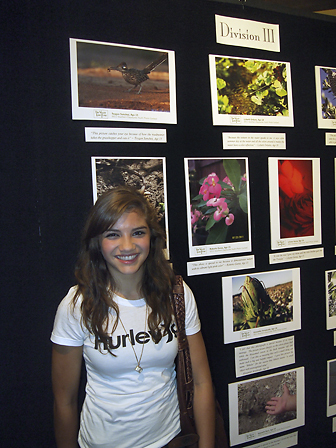 Her roadrunner image was on display at the awards ceremony. They all had a fantastic portfolio of images that I am happy to share below. Needless to say, I’m very proud of each of them. 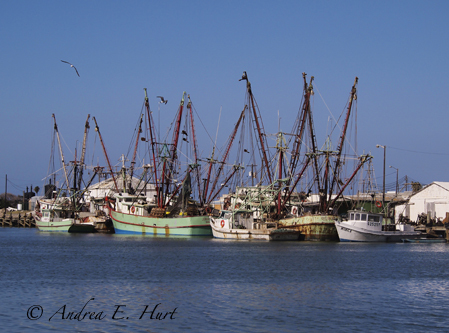 Shrimp Boats. Entered in Landscape & Plant Life Category. 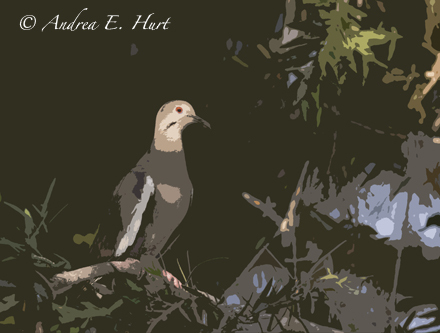 White-Winged Dove. 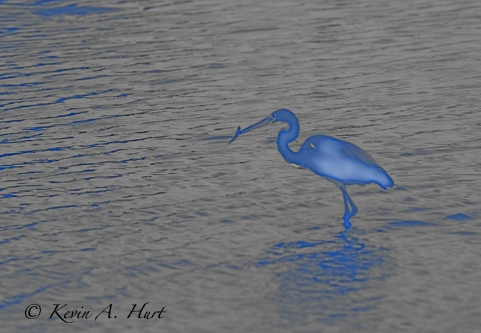 Entered in Digital Art Category. Gull. 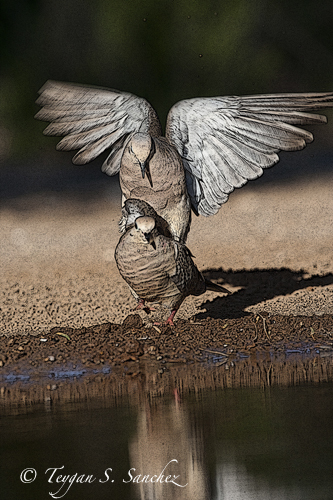 Entered in Birds Category. 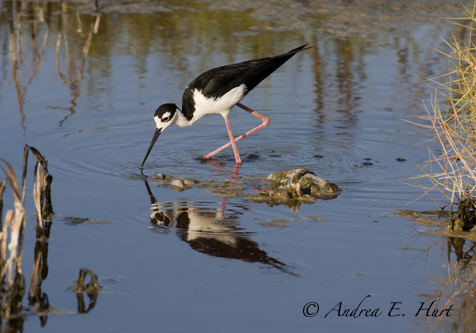 Black-necked Stilt. Entered in Birds Category. 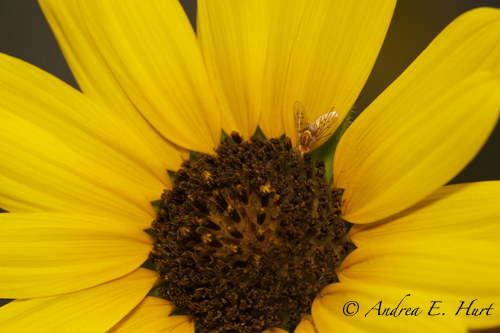 Yellow Sunflower: Landscapes & Flowering Plants Category. 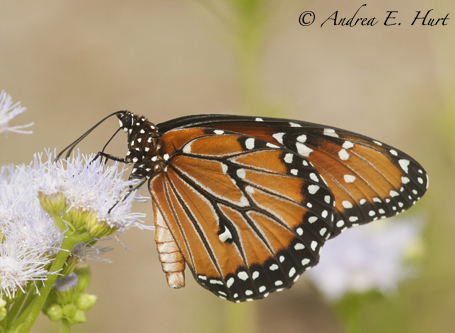 Queen Monarch Butterfly: Other Wildlife Category. 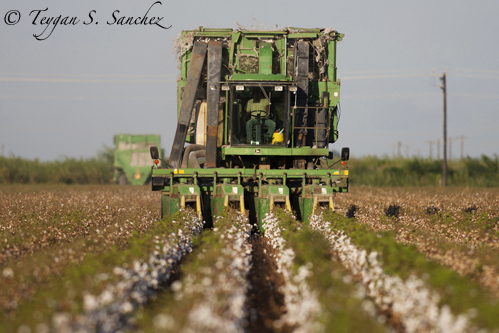 This image was selected for the calendar. Jr. Photographer: Connecting People To Nature Category. 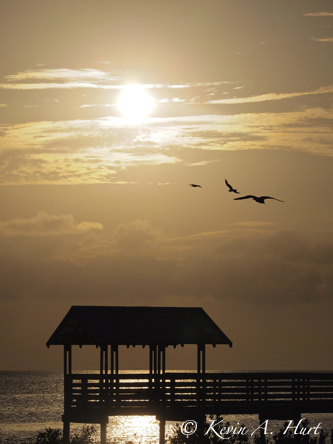 Sunset Over Laguna Madre. Landscape & Flowering Plant Category. 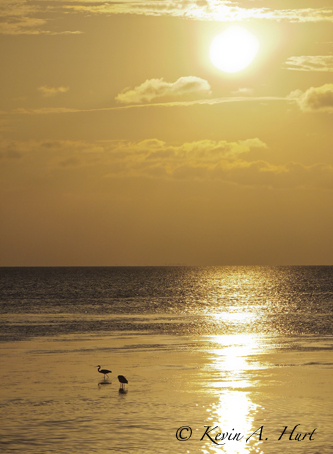 Sunset Over Laguna Madre. Water Features For WIldlife Category. Alligator. 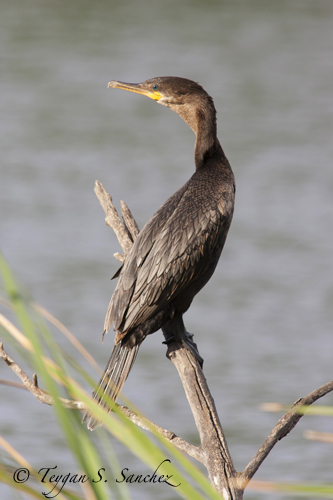 Other Wildlife Category. 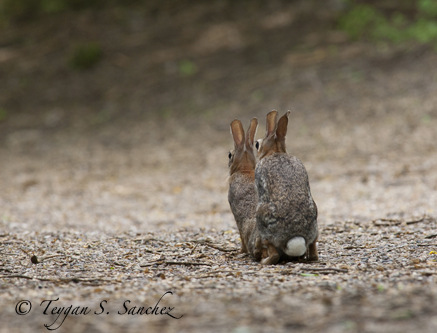 This image was selected for the calendar. Heron With Prey. Digital Art Category. Water Features For Wildlife Category. So there you have it folks. I think you’ll agree there were some great images taken. It was easy being the uncle with a niece in the field, but it was not easy being the dad whose two children were competing against each other. 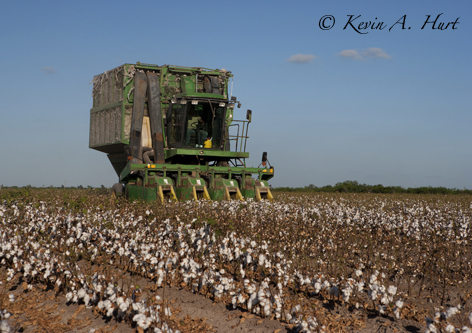 I found it best to alternate taking my kids into the field. One day I’d take my son, the next time I’d take my daughter. Whomever was with me, I tried to help them get the best possible images we could find. They got to use dad’s Canon camera equipment, but they also used an Olympus Pen E-Pl2 micro 4/3 camera for the landscape shots (I’ll be posting a review of that camera once I have more time to experiment with it but as of now, I’m very pleased with that camera). They had a bit of a technological advantage so I tried to minimize that by making them shoot all of their images at public places. They got composition instructions and critiques from dad throughout the contest. I also gave some suggestions and direction in the field, but I let them have final say in the images taken (subject, horizontal, vertical, include or exclude a subject in an image, etc). 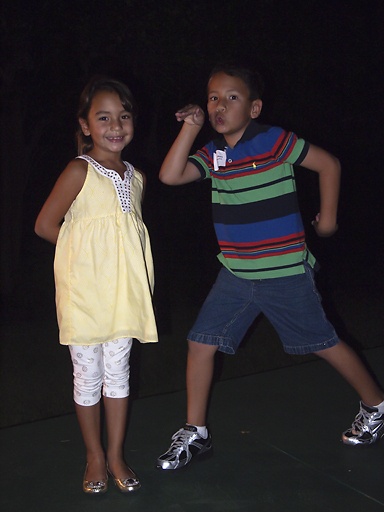 It was each kid, after all, that was behind the camera, composing and trying to get accurate focus. I particularly liked the vision my son shared when he snapped the Sunset Over The Laguna Madre (Landscape Category Entry). He decided to include the photo blind in the picture and determined he wanted it to be vertical. I could see on the LCD that he had a nice composed image so I said that looks good son…what are you waiting on? He looked up at me and said “I’m waiting for birds to fly through the picture.” Then three gulls obliged and he got a fantastic image. 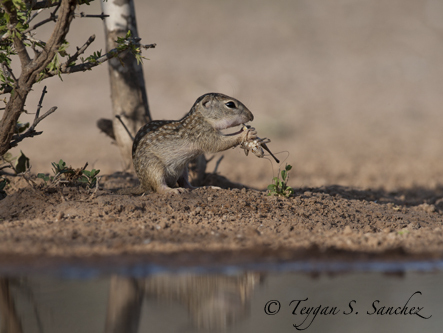 And that my friends, is what the 2011 VLF Nature Photo Competition was all about. Proud photographers after learning their images would be in the upcoming calendar. 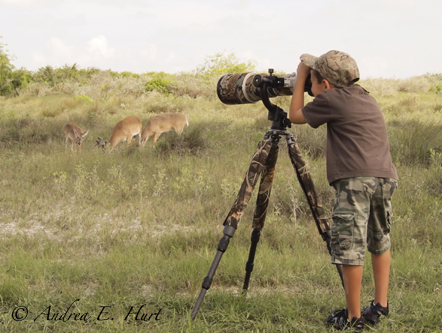 John and Audrey Martin are the pioneers of nature photography on private ranchland and through their vision; numerous landowners have opened up their ranches to photographers, for a fee of course. 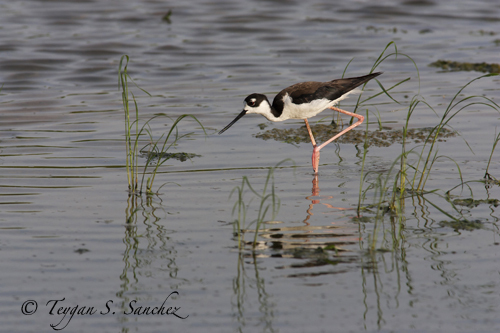 Still, there may be no better way to capitalize on the abundant species of birds, insects, mammals, and reptiles in South Texas than through access to private ranchland. About 6+ years ago, John invited me to visit The Javelina, a 300-acre ranch located NW of Mission, Texas. John shared his vision of developing a professional photography tour similar to that of the PGA. Already the force behind the Valley Land Fund Photography Contest, John has realized his dream of a professional contest through his ICF Pro-Tour. The Javelina has eight professionally designed photo blinds, each set back from small water holes and close to feeding areas. Three of the blinds have been sunken underground for photographing at eye level. 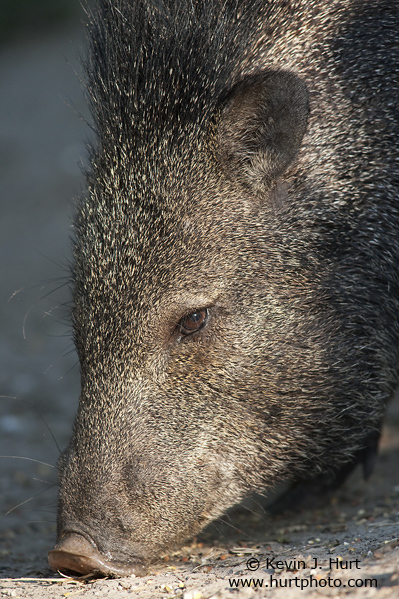 For your safety and an enhanced photographic experience, your visit to the Javelina includes the services of a Certified Interpretive Guide who will meet you at the gate and spend the day helping you. Compared to other private ranches, there a few amenities for the photographer. There is running water but no electricity and no lodge in which to escape the summertime heat. So this is something you will need to consider when planning your trip. If you are fine with the primitive accommodations, the photography is sure to be good. Equipment: The ponds at the Javelina are closer to the blinds than others I have visited so a 400mm lens on a crop factor camera should be long enough at most of the blinds and in some cases, 300mm may suffice. As I have suggested before, a long telephoto (500-600mm) on one body and a high quality zoom on a second body is a good combination. You will need a long telephoto at the raptor blind as well as the windmill blind. I have one minor grievance with the windmill pond. It is too large and extends beyond the photographers shooting lane. 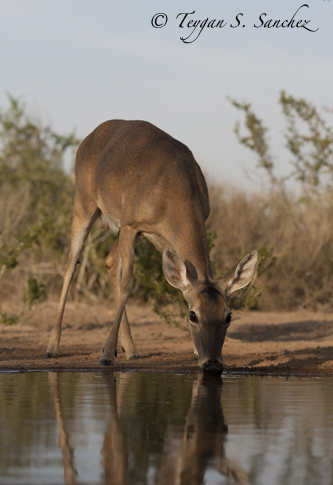 The birds/mammals sometimes drink in an area that is not conducive to taking photos. On the positive side, there is one section at the windmill pond where pebbles have been placed in a shallow area and the songbirds enjoying bathing there. It’s a real sweet spot for photos. 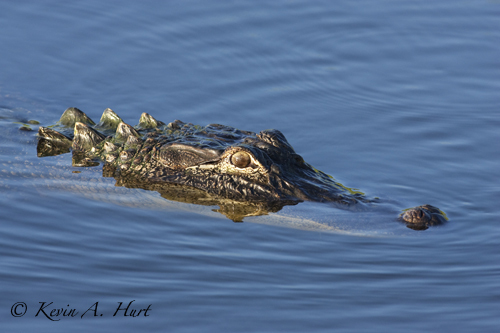 Take note, due to the size of the pond, 500mm is barely long enough for these shots. 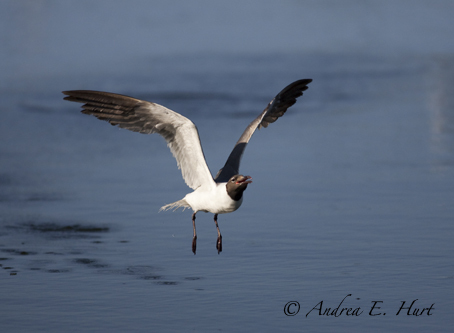 I had to keep a 1.4x converter on my 500 in order to get those pictures. 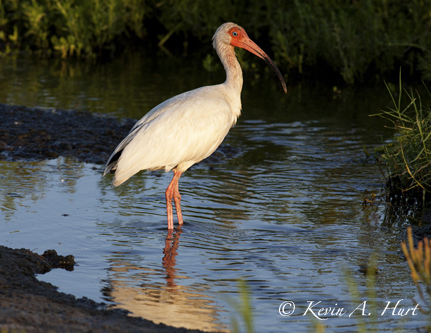 Below are a few photos taken from my one and only photo outing at The Javelina. Click on any of the images to see a higher resolution image. 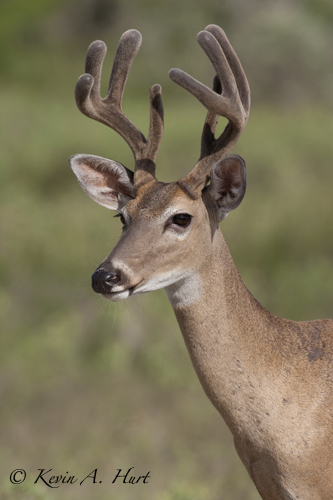 For more information about shooting at The Javelina Ranch, you can contact Audrey or John Martin at 956-381-1264 or 956-330-2055 (cellular). 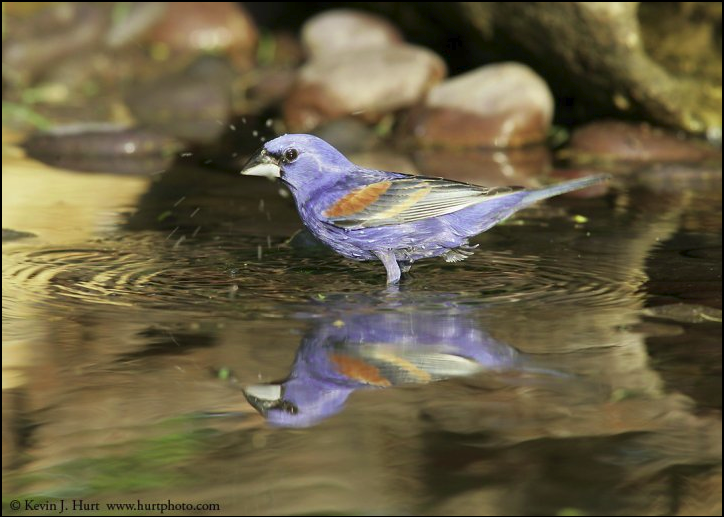 Blue Grosbeak. 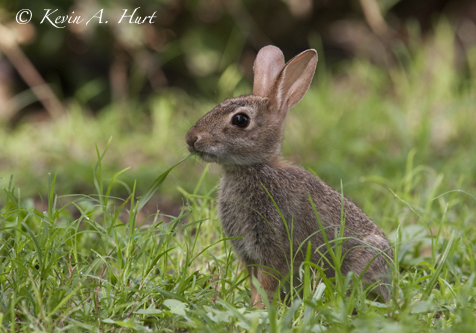 A summertime resident throughout Texas and other parts of the USA. 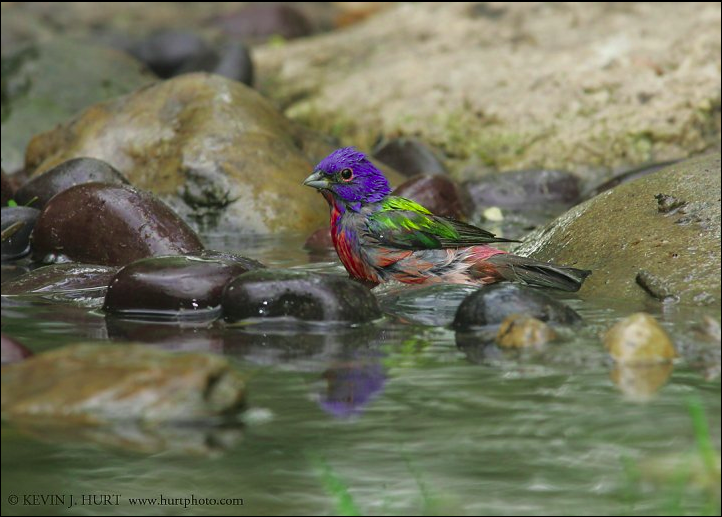 Painted Bunting. 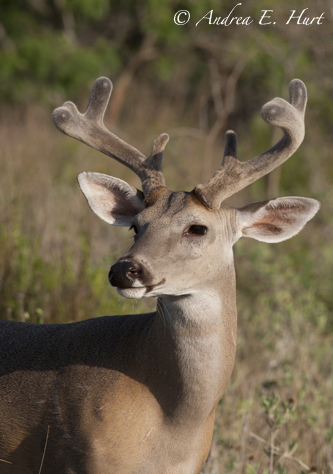 Summertime resident of Texas. The most striking colors you will ever see on a bird in the brush. Javelina. Given the nickname "skunk pig"...one good whiff downwind and you'll know why. 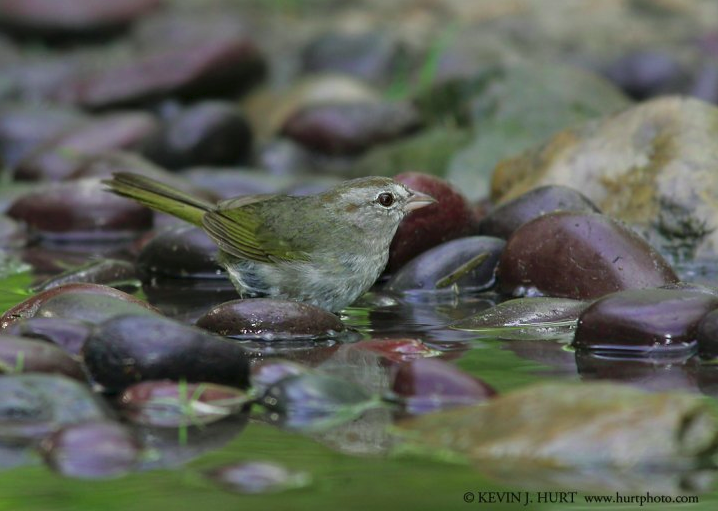 Olive Sparrow. Known as the Texas sparrow, it is found only in the southernmost tip of the state and parts of coastal Mexico, drawing many birders/photographers to the area for a glimpse of one. 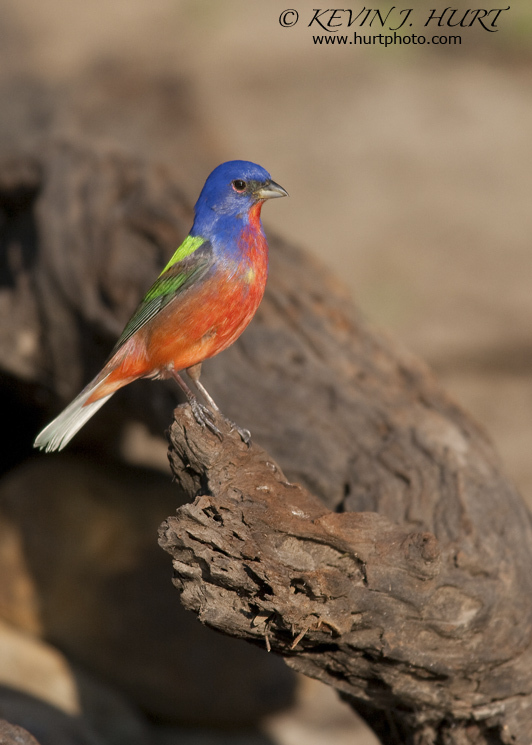 Painted Bunting. 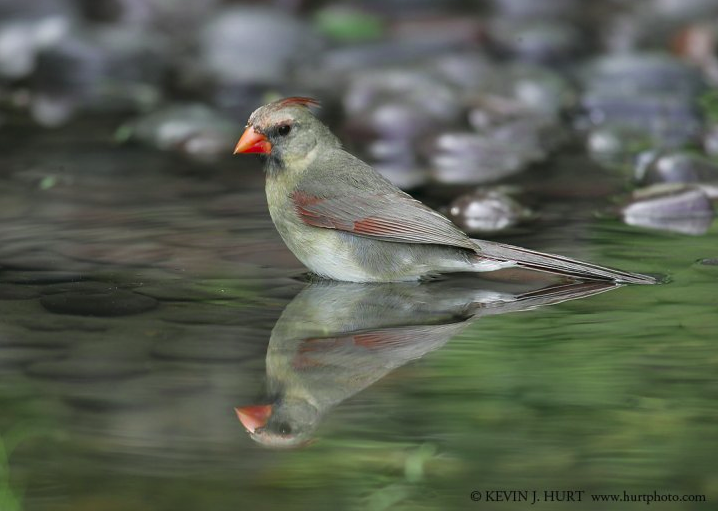 Those wet feathers remind me of an artist's brush. Peek-a-boo. 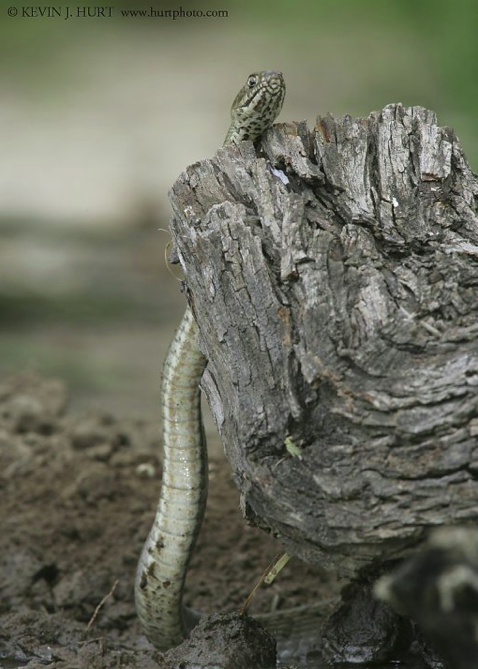 Unidentified snake that came in for a quick drink.